-Place sliced Bok Choy and carrot into a large bowl and into refrigerator while vinaigrette is prepared. 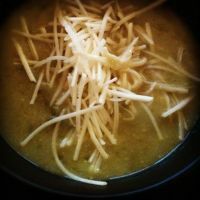 -In a small bowl, add all of the vinaigrette ingredients and whisk together until well combined. -Pour the vinaigrette over the Bok Choy greens and carrot, toss together well to coat, and divide equally among plates, piling the greens high; sprinkle with about a teaspoon of the sesame seeds to garnish.